Dogs are a man’s best friend. But did you know they’re also babies best friends too? Dogs are extremely loving animals and this baby seems to return the sentiment as you’ll see in the video below. 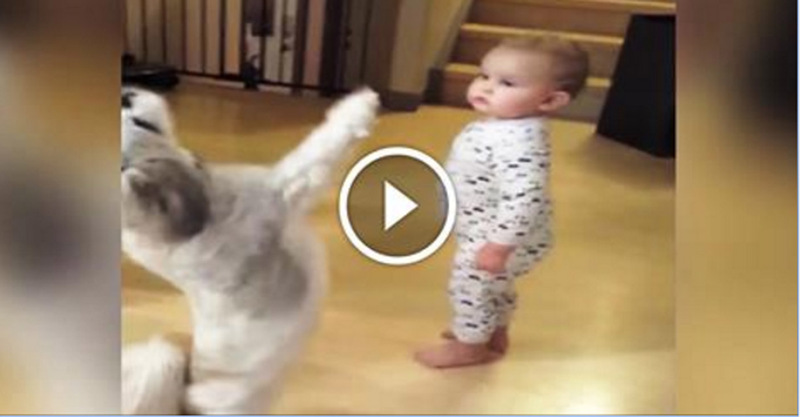 The dog starts to perform a trick for a treat, and just watch what the baby decides to do! What a good time. This is SO ADORABLE!